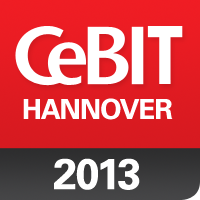 As we usually do at Igalia, this year we are present at CeBIT and, on this occasion, I will be the one representing the company and visiting Hanover (Germany). This trade show is a great continuation of the IT conference route that we have been attending this early 2013: We started visiting CES (Las Vegas) on January, we continued attending FOSDEM with several lectures on February and we are going to the Mobile World Congress in two weeks’ time (just the week before my trip to CeBIT). We are the main company contributing to WebKit after the giants Apple and Google. It is great reading the name of your company in this recent stats published in Techcrunch. We have experience in hardware virtualization in QEMU and developing drivers for industrial hardware. We have a team of multimedia specialists in all layers of multimedia development (applications, middleware and hardware integration). We lead the accessibility in the GNOME project. We are the company developing LibrePlan. We have experience in interactive interfaces being the authors of Skeltrack (a free software library for skeleton tracking).